Resident Evil is known for being the flagship survival horror series, reliant on strong storytelling, horror and overall gameplay. A series that's had multiple entries, remakes, spin-offs and more, a definitive ranking of the main series is more than needed. Especially considering the impact of multiple entries on the list. This ranking will only cover initial releases in the main series. Remakes will not be counted. Good news for fans, though, that playing these games on modern consoles is an option. Without further ado, here's a definitive ranking of the Resident Evil main series. It's no surprise Resident Evil 6 comes in dead last. It did exactly what fans did not want. Survival horror was removed for a more action focused game and the storyline was shot to s**t.
Serving as a prequel to the series and an exclusive Nintendo Gamecube release at the time, 0 had a unique zapping feature which let fans switch between playable characters Rebecca Chambers and convict Billy Coen. At the time of its release, tank controls were unpopular. The story wasn't thrilling and fans were yearning for something new. A four-year later follow-up to Resident Evil 4, RE 5 gave fans the ability to control Chris Redfield once again. The series started to trend more toward action instead of horror in this entry, but it was still a strong sequel to RE 4. Plus, co-op with the option to play as Sheva Alomar was a drawing factor. The one that started the entire franchise, horror was on full display as players journeyed into the Arklay Mountains for the first time. A gripping story, unique horror elements and much more made the original a huge success. The remakes that would come later breathed new life into the series, but for the original PlayStation release it comes in at fifth. The hallowed phrase from the ultimate bio-weapon known as Nemesis haunted players for years to come. Playing as Jill Valentine, you were stalked by Nemesis through Raccoon City. It's one of the most memorable and requested entries for a modern remake. Especially considering the success of the next entry's remake. The next (now current) generation of Resident Evil was a revolutionary entry. Resident Evil 7 took fans out of their element and into Louisiana as Ethan Winters searched for his missing girlfriend Mia. What followed next had fans rejoicing. No spoilers, but even some familiar faces return. If you haven't played a Resident Evil game, 7 is a great starting point considering its timeline and gameplay. Considered by some to be the best entry in the franchise, RE2 featured Claire Redfield, Chris' sister, and rookie cop Leon S. Kennedy battling against T-Virus zombies in an outbreak ridden Raccoon City. Further developing the story laid out in the original, RE2 is an iconic survival horror title. So much so that the game received an epic remake on Jan. 25. Check it out above. It was always going to be Resident Evil 4. It might even be the greatest game of all time. 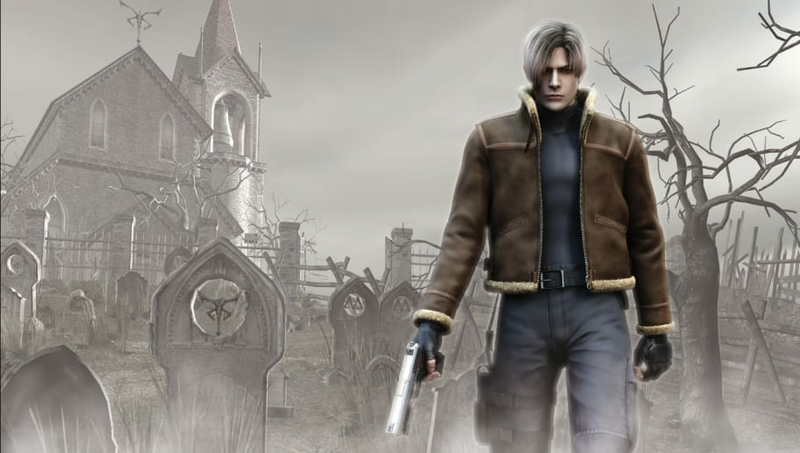 Released first exclusively on the Gamecube, RE4 had Leon S. Kennedy return in search of the United States of America's President's daughter. A new gameplay system revitalized the series and laid the foundation for 5 and 6 even though 6 was the worst entry on this list. Play this game, you won't regret it.